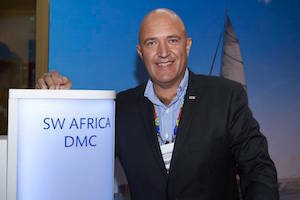 After growing fond of South Africa during several visits as a Swedish tour operator, Kenneth Malmqvist sold his travel business in Sweden, Master Tours, and emigrated in 1996. Kenneth had previously worked with Henk, who was then promoting Sabi Sabi, and this relationship continued to grow after Kenneth’s arrival in Johannesburg and him founding SW Africa Destination Management in January 1997. Henk first bought into the company in 2002 and eventually, in 2010, took over as MD and principal owner, when Kenneth returned to his motherland to retire. The company now employs nine staff at their office in Rosebank, Johannesburg and has two divisions, namely SW Leisure and SW Business Solutions, who serve the Leisure and MICE segments of the market, respectively. A born and bred, sixth generation South African, I fell in love with Africa and the travel industry at a young age and have since enjoyed a wonderful career doing what I love, in the country I adore. After completing a degree in Marketing and Economics, I began my travel career in 1989 as a field guide, and eventually became Head Ranger at the world-renowned Sabi Sabi Private Game Reserve before moving in to Sales and Marketing for Sabi Sabi, and later for Mabula Game Lodge and Three Cities Hotels. I have been married to Carole for twenty years and we have two children, Mathieu (17 years) and Marine (15 years). In my free time I play Underwater Hockey at Christ Church Underwater Hockey Club in Midrand, where I also serve as Chairman of the club committee.